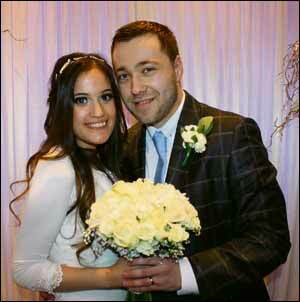 Lucy MacLeod and Gideon Radivan married in London on Sunday. Lucy, 27, is the daughter of Gila and Ian MacLeod, of London, while 25-year-old Gideon is the son of Teri and Geoff Radivan, of Manchester. The bride, whose maternal grandparents were unable to attend from Israel, is an SEN learning support assistant at Sinai Jewish Primary School while Gideon is in sales. Present at the simcha were grandparents Joyce MacLeod and Frances and Geoffrey Lipshaw. The couple have settled in London.